Happy Friday everyone! It’s the weekend … aka time to leave all worries behind the work week, set out his most daring, try the new trendy restaurant in the city, and laugh all night. Sometimes you forget to have some fun when we’re putting together a team. Clothing is another way you get to express themselves, so do not hold back! Our last favorite form of Chic add some excitement to a team (and ours too) is mix and match patterns. 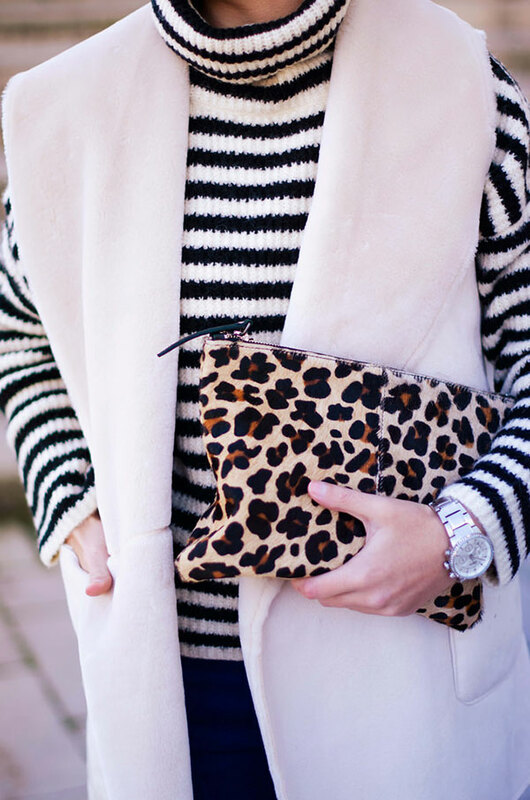 Keep scrolling to see how our Chic did look stripes and cheetah were made to be used together. Congratulations to our last Chic of the Week Marta ! Friday! Yee-ha! To celebrate the weekend, here it is my mixed team recorded. I’m so in love with this team. I’ve been all week, if I could. It is so cozy, comfortable, warm, fashionable and cool. Has it all! Finally I put it for shopping. I paired with a side braid and wore clothes that were easy to remove and put on in the fitting rooms. 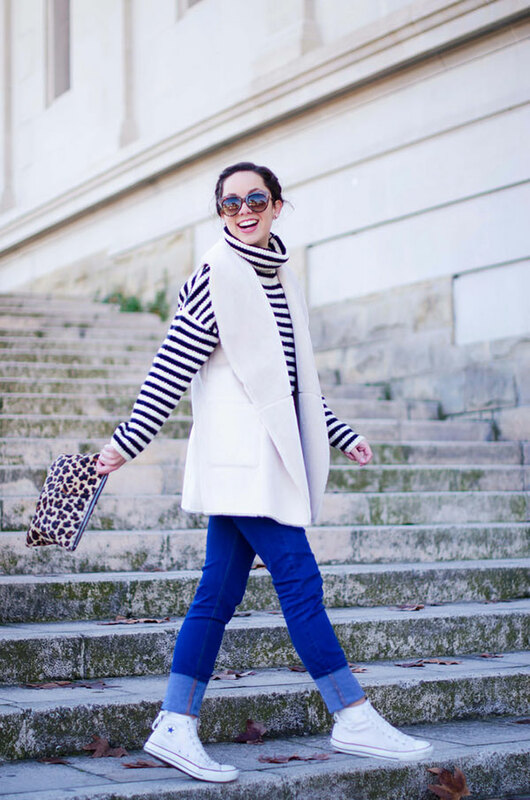 Therefore, I chose a beautiful vest, my dear jeans, Converse super comfortable and leopard print clutch. Thanks for giving us some inspiration amazing costume! This week (and every week), we all have confidence as Marta with our bold choices of the team! What are your two favorite prints for use together?